Canadian bands have a knack for creating outstanding country-rock with a lot of blues and a touch of psychedelia. Blackie and the Rodeo Kings does it a cut above most. On the band’s website, you can pre-order “Kings and Queens” and also listen to some songs from their previous albums (or search for their performances on YouTube – “Water or Gasoline,” “49 Tons” and “Stoned” are highlights from 2009’s “Swinging from the Chains of Love”). The band’s tour starts with a show at the Living Room in New York’s West Village on the day of the album release. They’ll also be at the always-awesome Ottawa Blues Fest on July 16. No Toronto dates have been announced yet. The last time I saw Tom play was in 1999 (or thereabouts) at the Bottom Line in Greenwich Village, where he opened for Blue Rodeo in a concert sponsored by the Canada Club of New York. 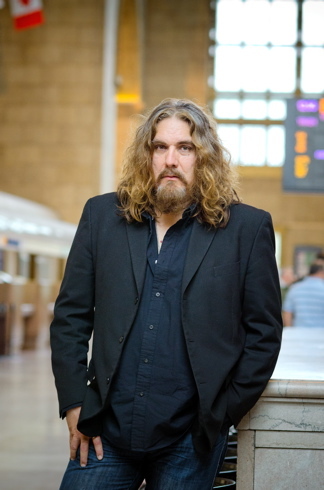 That was after his days with Junkhouse (“Check My Brain”) and before his other main music project, Lee Harvey Osmond. So I look forward to catching a show or two this summer. You’ll have to read the article in the Star’s Travel section to find out why. It’ll come out in a Saturday edition in late June/early July.